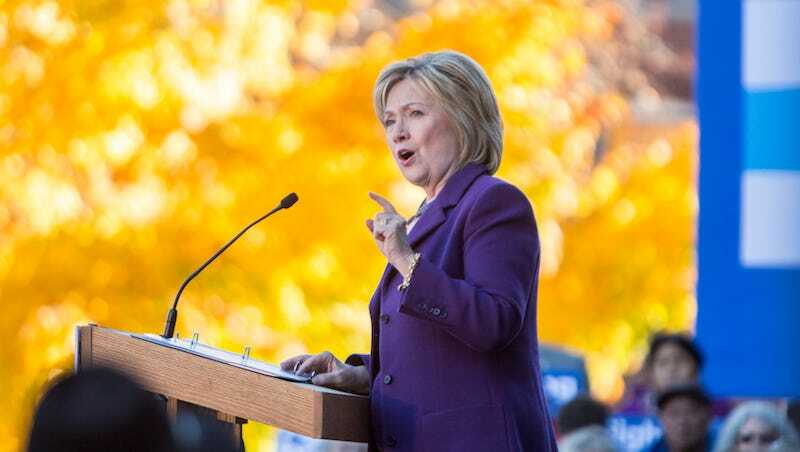 On Tuesday, Hillary Clinton released a number of policy proposals specifically aimed at the Department of Veteran’s Affairs and the Veteran’s Health Administration. Among these proposals include a special focus on increasing quality of care for women and transgender veterans. For women, Clinton would offer increased funding to provide increased access to more and better services “going beyond simply modifying facilities and increasing the number of OB-GYNs employed by the VHA.” She would also mandate that the V.A. provide reproductive services including birth control, as well as childcare at V.A. medical facilities. Current reproductive health services available to women veterans include regular screenings, including for infertility, treatment of sexually-transmitted diseases and tubal ligation surgery to prevent pregnancy. The quality of those services varies across the system and services are not universally available to women veterans depending on where they live. Clinton’s plan does not mention abortion specifically, and federal funds are currently barred for abortions in the VA system. Federal funding is also prohibited for in-vitro fertilization. Women are the fastest growing group of veterans treated by the V.A.—currently, 635,000 of over 2 million female veterans are enrolled in V.A. programs, a number that has doubled since September 11. Women have different health care needs and medical problems from men, and those needs have been largely ignored by the government body designed to care for them. “For too long, the V.A. has essentially ignored many of the most pressing needs that our women veterans face,” Sen. Richard Blumenthal said at a Senate Armed Services Committee earlier this year. In her 12-page proposal, Clinton also opposed the privatization of veteran’s health care (which is in line with the stance of the majority of veterans), but was open to allowing the government to hire private providers.